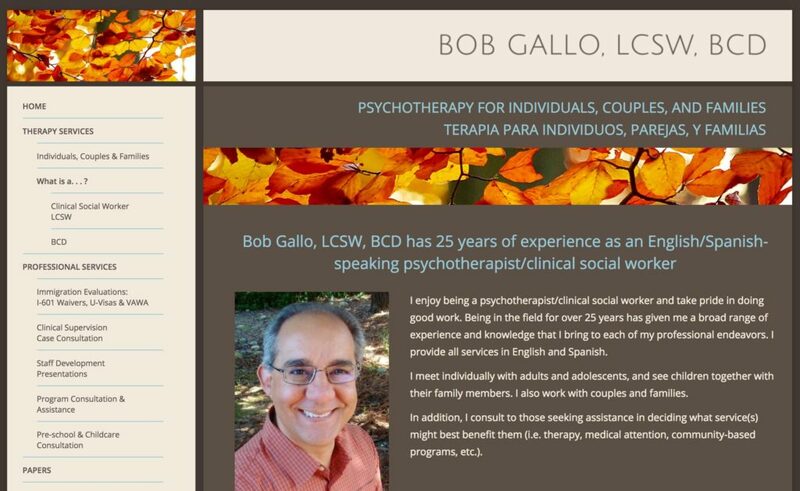 Bob Gallo LCSW is our favorite kind of small business and building their brand and website was a ton of fun. We built their website on WordPress and design their title graphics to boot. Our favorite part was designing a custom header of revolving gorgeous nature photos, each page with a different photo and banner of a stunning facet of nature.